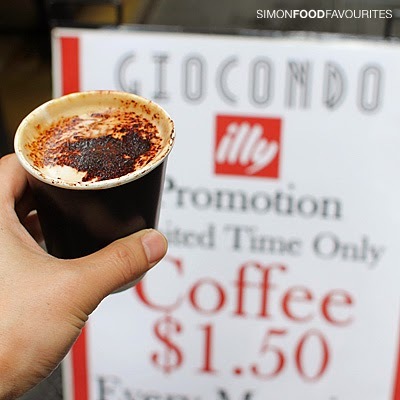 To date the cheapest coffee made by a barista I've come across in the city has been $2 at either Espresso on York or the happy hour at Uno Espresso. 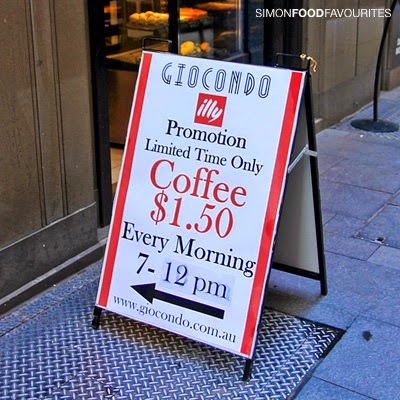 Now for those working around the corner of Castlereagh and King Street you'll find $1.50 coffees at Giocondo for a limited time. 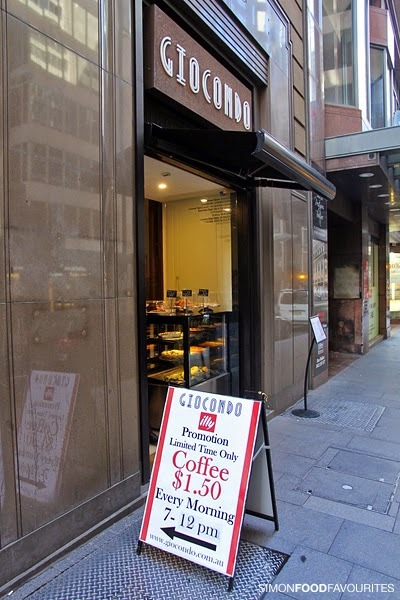 Back in March I stumbled across Giocondo and tried their coffee which I thought was pretty good and this time around my cheap Cappuccino ($1.50 takeaway only) was still enjoyable. 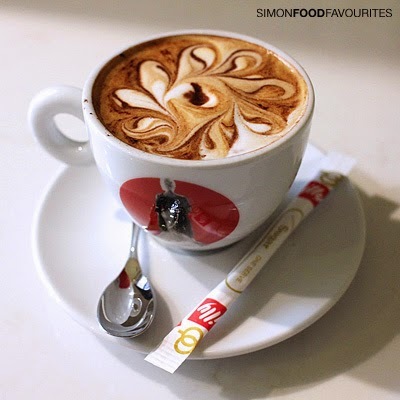 I'm suspecting their motivation for the coffee promotion is not only to tell people that they can make a decent coffee but also to attract new customers to try their restaurant which is hidden inside. 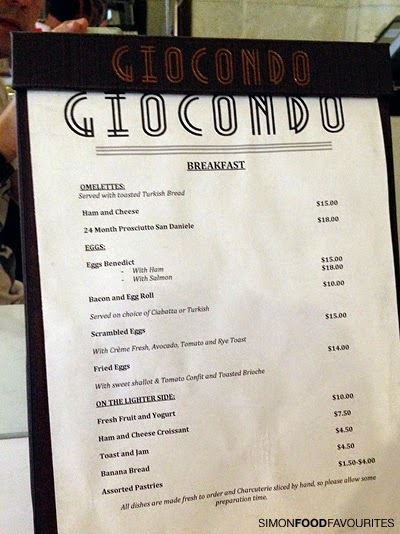 I noticed on a flyer displayed at the counter they're currently promoting a $29 3 course special of an entree, main and dessert which sounds like a good introduction to see what their menu is like. 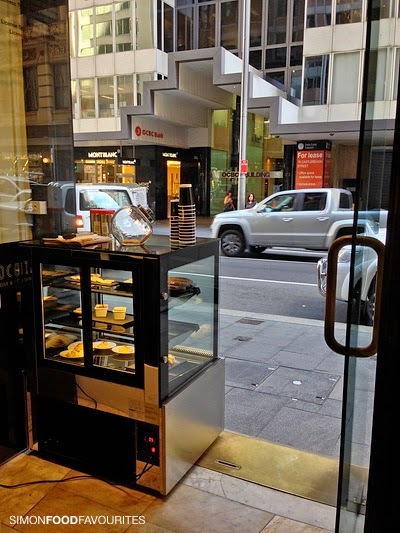 You can also get a $1 espresso if you stand at the bar at Baker Brothers on York Street - just like in Italy!